Ok, y’all have heard me talk about dry brushing and exfoliating before. But, now is when it’s absolutely necessary. Dry brushing is going to help remove the dry+dead skin on your body! It only takes about 3 minutes to do your entire body. Start at your feet and work into a gentle circular motion then large smoother strokes always toward your heart. 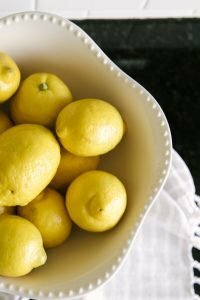 Not only is it going to remove that dry+dead skin, it will also improve circulation, stimulate lymphatic system, rejuvenate the nervous system, and leave you feeling energized! This is the dry brush I use. Next, you will want to exfoliate your body in the shower or bath. I think this is essential to achieving a seamless at home self tan! No one has time to be a streaky mess. 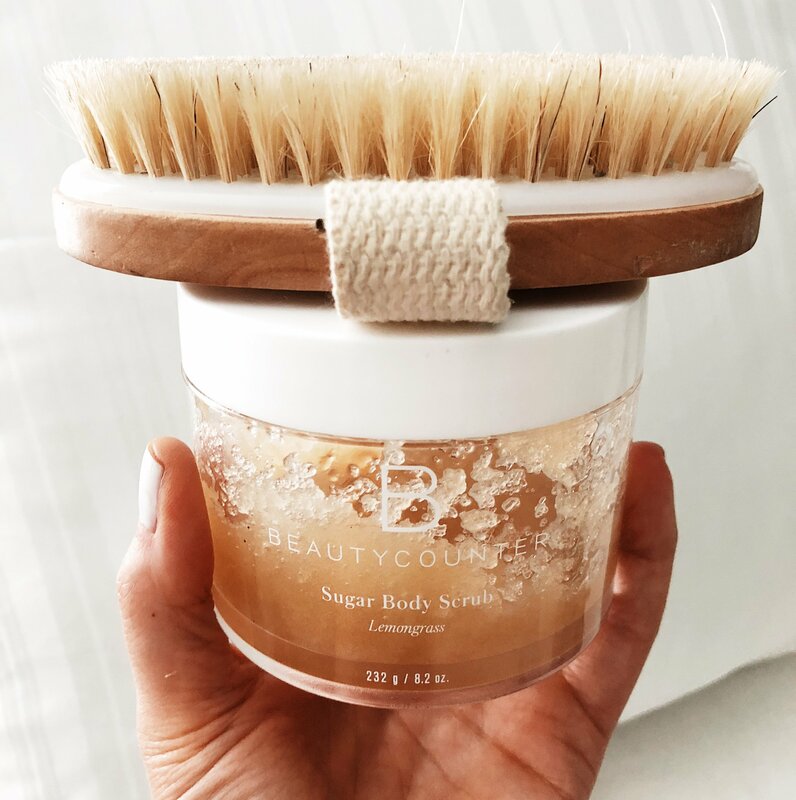 I like to use the Beautycounter Sugar Body Scrub. It’s so luxurious and leaves your body feeling moisturized, not dry! I also like to go ahead and shave while preparing for this! After drying off from your shower or bath, it’s time to prep the troublesome areas. I take the Beautycounter soothing baby oil and rub it into my elbows, knees, hands/wrists, feet/ankles and allow it to soak in+dry for a few minutes. The Beautycounter soothing baby oil is a mixture of organic coconut, jojoba, and sunflower seed oils as well as vitamin E. You could also use fractionated coconut oil in this step, like this one. Ok, y’all…this stuff is THICK. So keep that in mind! Not to worry though, I think its a good thing because you can see exactly where it is on your body. I do not use a mitt to apply, just my bare hands. I really don’t see a benefit to using a mitt with this sunless tanner. Starting with my legs+feet, and going up my body and rubbing in VERY well. You can see where it is since it is so thick, and I think that is why it looks so nice the next day! After my entire body is evenly coated I wash the palms of my hands with soap. I have not had an issue with it staining my palms. It doesn’t take that long to dry, but I don’t put a robe on for at least 5-7 minutes. Then I hang out in my robe for a bit after that. 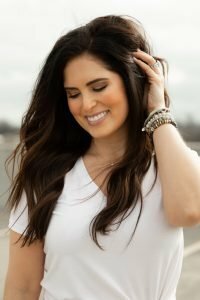 This self-tanner is buildable, so you could do another coat the next night and that is what I like to do. I will not follow these same steps because I don’t want to exfoliate the new tan off but rather use the soothing oil on the trouble spots again then use the Beauty By Earth as my moisturizer after showering! The key to maintaining this is to MOISTURIZE like crazy! I typically do this no matter what, but wanted to share this here anyway! That Beautycounter Soothing Baby Oil I mentioned earlier is your BFF. Mix a couple of pumps of it with your moisturizer after every single shower or bath! 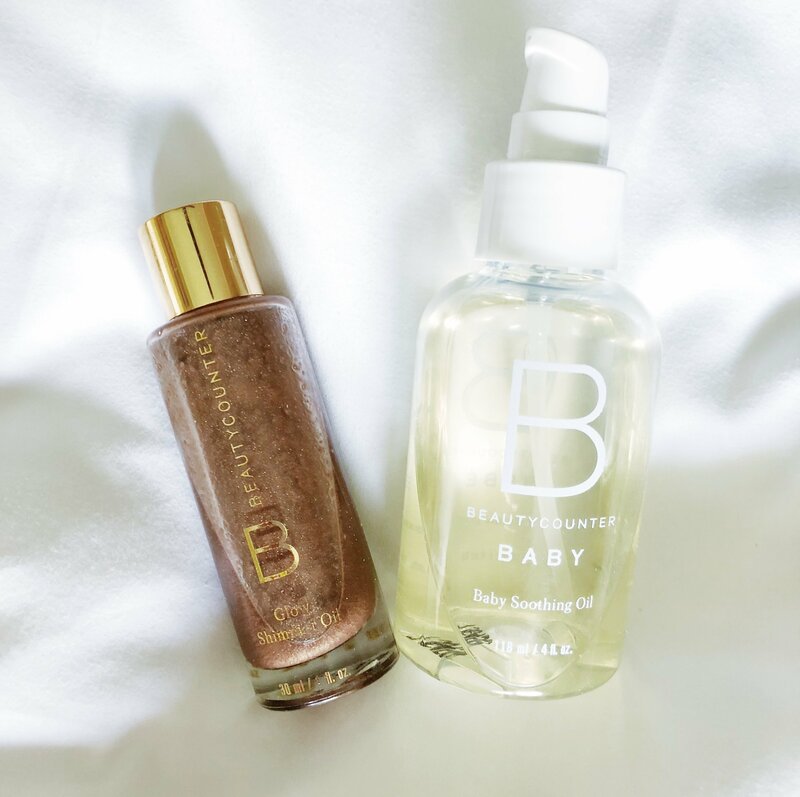 My go-to combo is the Countermatch Adaptive Body Moisturizer + Beautycounter Soothing Baby Oil. I do not tan my face with the Beauty By Earth lotion or any self tanning lotion. I will use the Dune Bronzer to give me some color on my face! 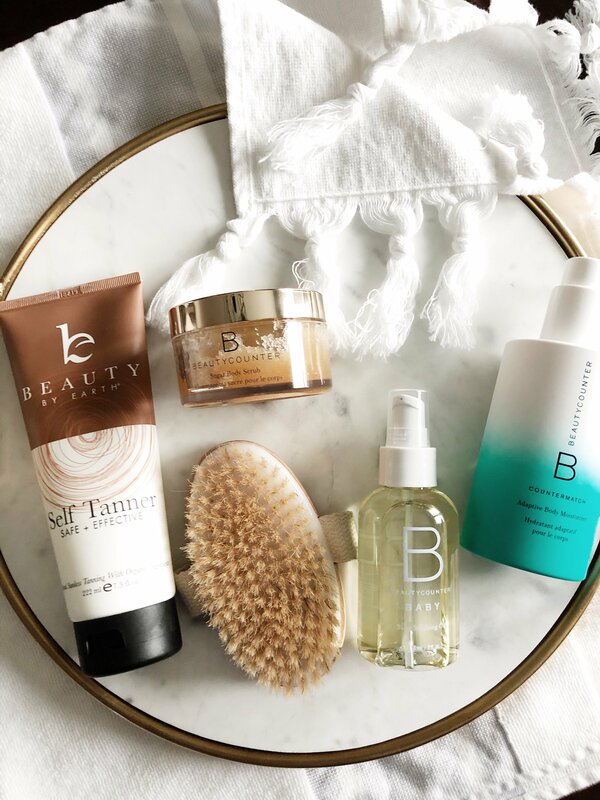 Since we are talking about a nice glow, you’re going to want to know about the BEST dry oil for added radiance. This glow shimmer oil is amazing. Think all the radiance sans the glitter! It’s made with nourishing jojoba oil and absorbs immediately into your skin to deliver a radiant, even glow! This is NOT a self tanner and washes off! It adds a nice subtle bronze boost, perfect for legs, shoulders and décolleté! Again, I like to mix this with the soothing baby oil! If there is something you do to make your routine flawless, you better let me know! BONUS: all of the Beautycounter items are 15% off through 04/15. You can shop by clicking here! Email me or DM me over on insta with any questions or if you need product recommendations! I got you, girl!